Marais Rouge is set back from the road, enjoying an elevated position, accessible via a climbing stone path approx. 100m in length. 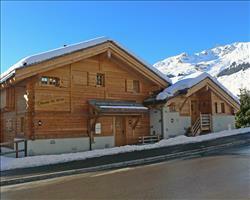 The chalet is in a quiet area and benefits from our driver service. 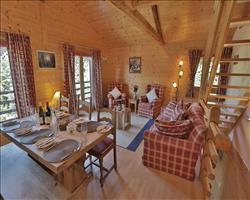 Chalet Marais Rouge is situated close to the centre of the village in a fantastic position next to a mountain stream. The chalet is set back from the road offering arguably one of the best views in Verbier thanks to it's elevated position, accessible via a climbing, stone path approx. 100m in length. This luxurious chalet benefits from a south facing aspect which ensures daylong sunshine on the vast balconies and terrace, where you can enjoy an evening drink. Marais Rouge is finished to the highest standards, and has all the mod cons you would expect from a top alpine chalet including a cinema room, sauna and hot tub. The chalet is a short walk from the main Medran lift station, as well as the shops, restaurants and nightlife, however, if you prefer, your on call minibus and driver service is available from 8am until midnight. Your chef in the Marais Rouge has trained and cooked in some of London’s top restaurants! Marais Rouge is one of our Champagne Chalets, complete with champagne and canapés six nights of the week, a champagne breakfast and a dedicated driver service. Our concierge service is also on hand to arrange any extras you may wish, such as restaurant reservations, massages or childcare. See what else is included in our Champagne Chalets below. On the ground floor there are two double bedrooms, a twin bedroom and the triple bedroom, all with en suites. The two remaining Austrian twin bedrooms are on the second floor. The first floor comprises a spectacular open plan living/dining area, ensuring all guests sit comfortably and unwind after a hard day on the slopes. Skis and boots are stored in the ski room with a heated boot rack. 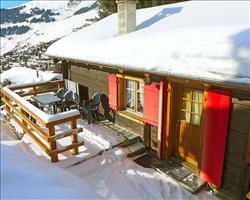 The steps and path up to this chalet is approximately 150m. We update Marais Rouge's details often, but facilities do change. e.g. some extras listed by the supplier as "free" or included might only be for the first time you use them, or for one time per party, then charged for further use. If any specific feature is essential to your holiday, make sure you ask us to confirm the details of it before you book your holiday. This accommodation only holiday to Marais Rouge in Verbier, Switzerland departs Saturday 14th December 2019, for a 7 night stay on a "catered chalet" board basis. A local tourist tax (Taxe de Sejour or Kurtaxe) is levied by many councils in European ski resorts. It varies by standard and type of accommodation and is age dependent, so not everyone is charged. It's not included in the basic price of your holiday and is usually paid locally. For reference, the average charged in winter 15/16 was between 50p and £2 per person, per night. Verbier lift pass price last reported as CHF317 (adult 6 day). Ask for a quote when booking Marais Rouge. 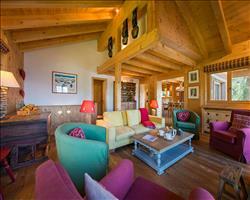 Château Lapin Verbier Switzerland, Without Flights to Without Flights 14th December. La Pive Verbier Switzerland, Without Flights to Without Flights 14th December. Biquinou Verbier Switzerland, Without Flights to Without Flights 14th December. 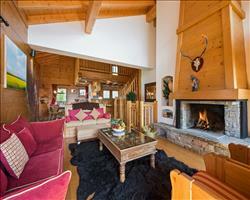 La tintaz Verbier Switzerland, Without Flights to Without Flights 14th December. 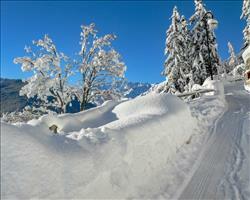 Boule de Neige Verbier Switzerland, Without Flights to Without Flights 14th December. Katarina Verbier Switzerland, Without Flights to Without Flights 14th December. Berbou Verbier Switzerland, Without Flights to Without Flights 14th December. 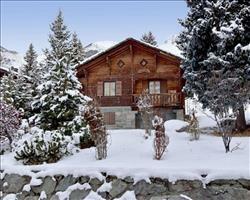 Chalet Darbay Verbier Switzerland, Without Flights to Without Flights 14th December. 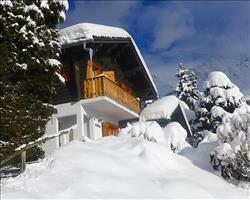 Laineux Verbier Switzerland, Without Flights to Without Flights 14th December. 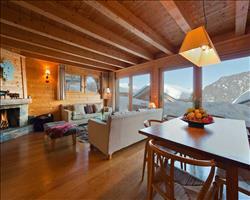 La Siesta 12 Verbier Switzerland, Without Flights to Without Flights 14th December. 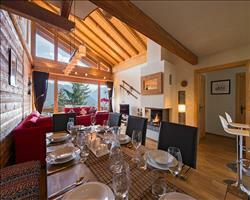 "Beautiful - cosy - luxurious"
Marais Rouge is a truly beautiful chalet, which felt really cosy and luxurious inside. It was such a treat to be able to come home and relax in our own hot tub, or enjoy the sauna before dinner – and we certainly made use of the cinema room on a couple of nights as well. Our chalet was kept spotless at all times by our host. She was so attentive and enthusiastic, we felt completely relaxed in her company. It just goes to show that the right staff can really make a holiday – they definitely gave us the experience we were promised. I don't think I'll be able to forget the views from the Marais Rouge balcony in a hurry!